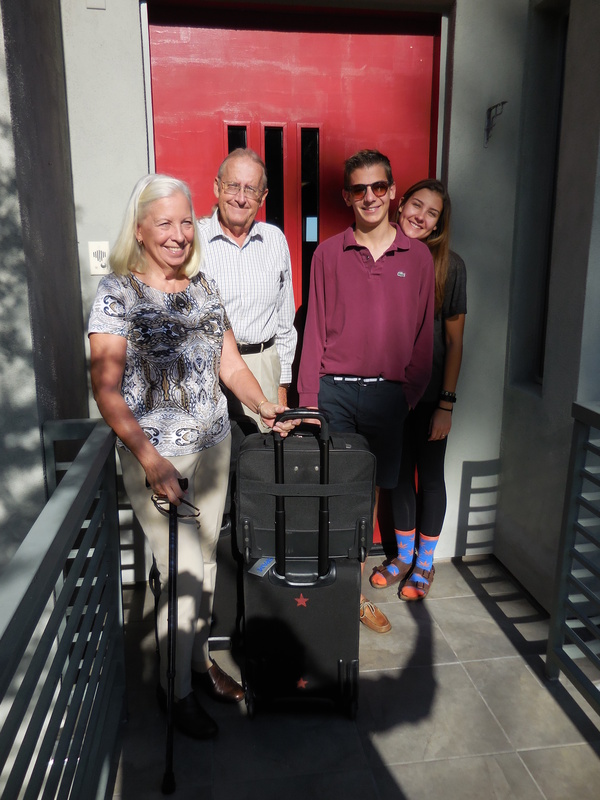 At the crack of noon (we’re on holiday), Monday, July 13, it was a quick trip from Karlsruhe back to Kandel to pick up our charges, Delaney and Brett, and head to France. Destination for the next four days would be Nancy in France’s Alsace Lorraine region, with a short stop-off to see the cathedral and canals of Strasbourg. Tuesday we helped the French celebrate Bastille Day. 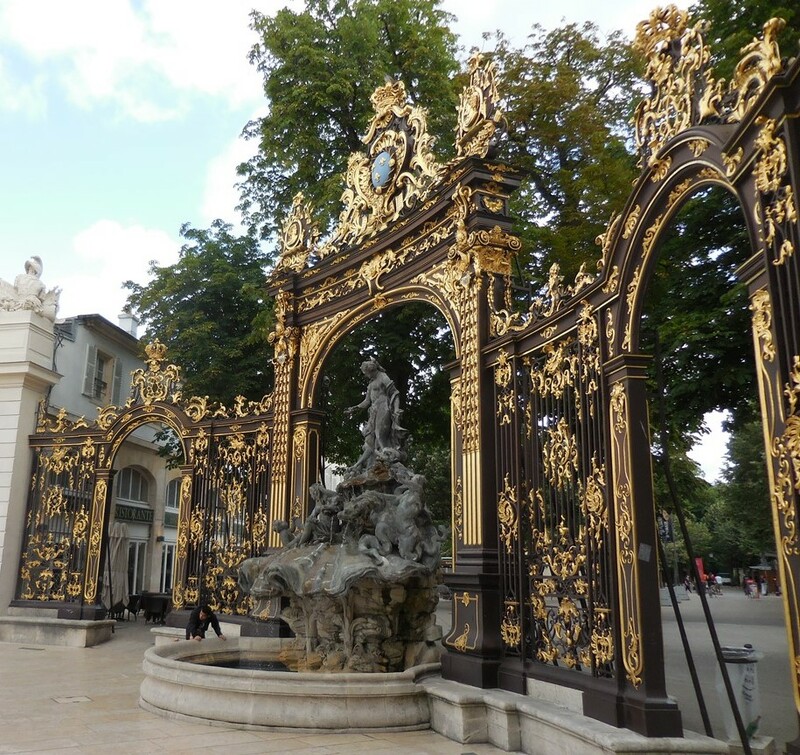 Place Stanislas with its incredible gilded gates and stately buildings was the focal point for the formal segment of the day’s activities. 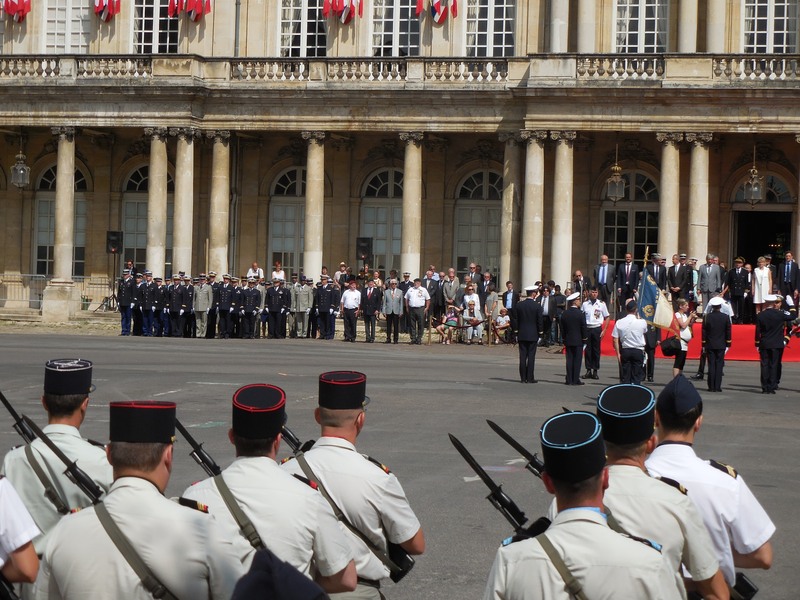 With the square decked out in French flags and bunting, squads of police and military troops were reviewed, the honorable were named and the requisite speeches were made. As the band played La Marseillaise–IMO the coolest anthem ever–a pair of Mirage jets made a quick pass overhead. The kids spent a good chunk of the rest of the day checking out sales at H&M and Lacoste (for some reason the Euro versions are cooler than the US ones). Of course, no patriotic national celebration would be complete without fireworks and the Nancy show did not disappoint. Technology has added a lot to the art of pyrotechnic display. Being in France, we had to do some fine French eating. Evening one brought quite good, but somewhat non-traditional fare in a kind of Americanized trendy joint with burgers, salads and steak tartare pairing nicely with a couple carafes of wine. 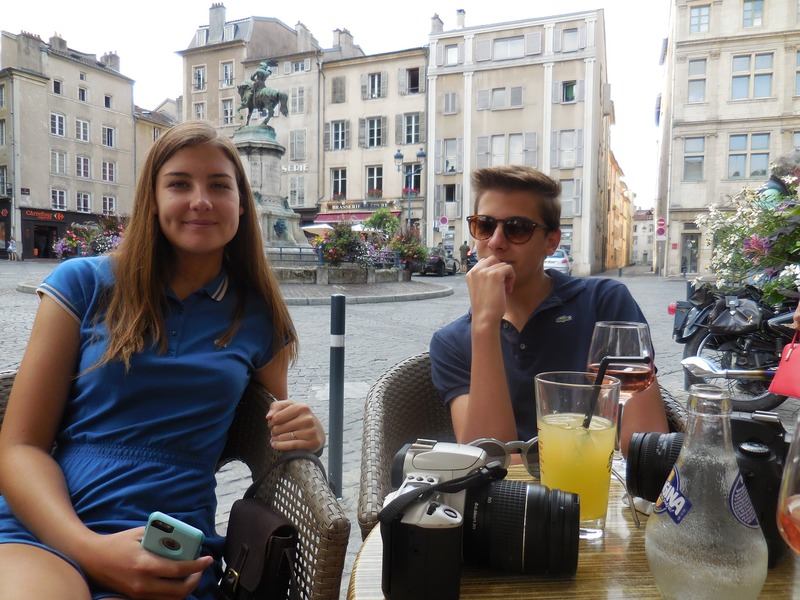 Our last night in Nancy was Delaney’s 18th Birthday-eve and we celebrated, alfresco at Grand Café Foy in Place Stanislas. Balmy night, fab waiter, delightful wine, marvelous meal and D’s favorite; tap water. Semi-interesting observation: Strasbourg is home to the Kronenbourg brewery. For whatever reason, I’ve always found it to be one of the toughest places on the Continent to get a Kronenbourg 1664. It’s kind of like not being to find a Miller in Milwaukee. 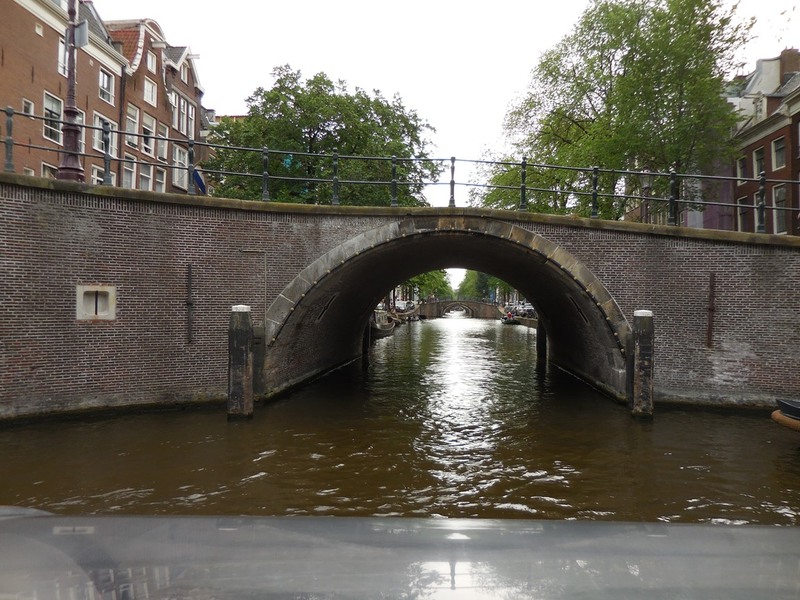 Sunday, July 5, Amsterdam – The requisite boat tour of Amsterdam’s canal followed by a quick trip across the harbor from Centraal Station to try and find a monthly mega-flea market. In about a five minute period, the weather went from steamy hot to a cold blowing rain. For whatever reason, the kids seem to get into hitting the grocery markets followed by a little Grandma/Grampa prepared home dinner. Chicken, rice and broccoli made the cut tonight. Monday, July 6, Amsterdam – On Sunday we’d stopped by the Anne Frank Museum to check out the ticket queue. Deeming the wait too long, decision was made to return early the following morning. That seemed like a good and one that had obviously been embraced by about a zillion other visitors—queue was about 2x of that on Sunday. Two hours later we made it to the entrance of this AMS-must-do. Laurel and I have both been here “back in the day” when the museum was just the original house and entry was had by going to the front door and walking in. It is, though, still a very moving peek at just how horrific man’s inhumanity to man can be. 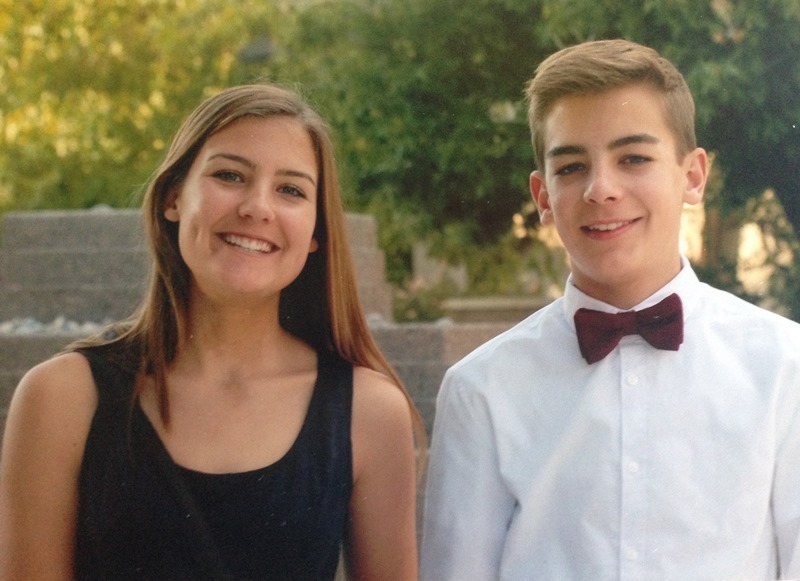 The kids shopped—a seemingly favorite pastime—G&G had a nice lunch in an AMS park. 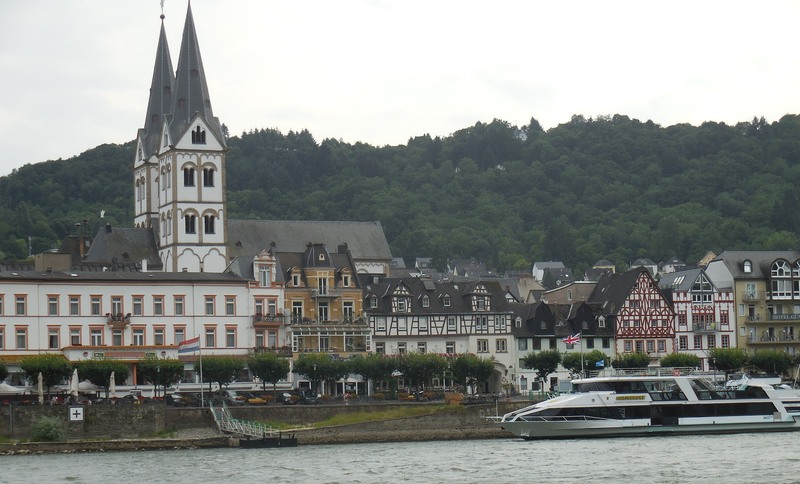 Tuesday, July 7, Amsterdam to Boppard, Germany — The plan was to try and hit a castle on the Rhine prior getting to Boppard, but tardy trains blew that opportunity. Boppard in on the west bank of the Rhine, but we drove south from Koblenz on the east thus allowing me to hear my fav self-recorded GPS direction; “In 200 meters, board ferry.” Great way to arrive in this idyllic little Rhineland village. 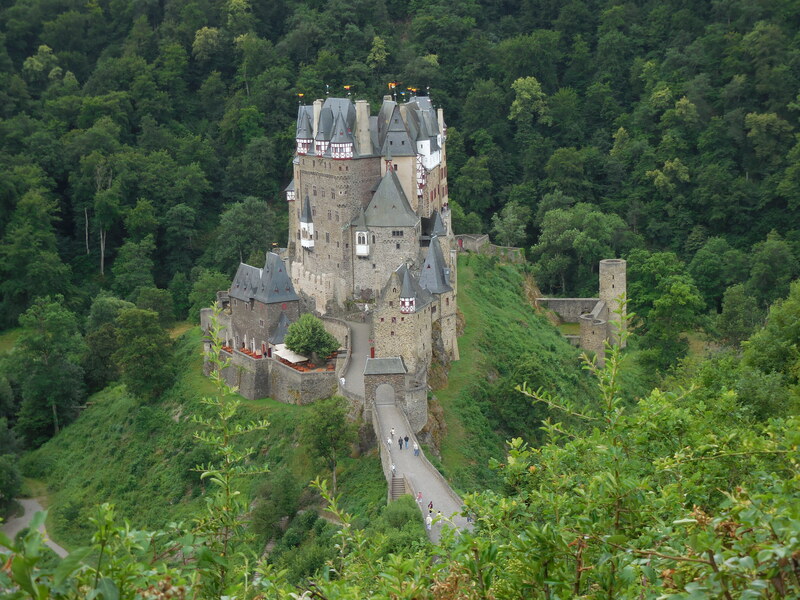 Wednesday, July 8, Boppard to Rüdesheim am Rhine – A little backtrack to the Mosel River and a visit to Eltz Castle, still owned by a branch of the same family that called it home in the 12th century. One more ferry ride across the Rhine brought us to our less than charming inn at Rüdesheim. Thursday, July 9, Rüdesheim am Rhine to Kandel – The cable car ride over the verdant vineyards of Rüdesheim was gorgeous. Skipped that castle and headed for Kandel and the home of the Peter Meier family. Peter was an exchange student who lived with Delaney and Brett’s father’s family “back in the day.” Peter along with wife Martina and their two children, Hana and David hosted an incredible backyard BBQ for us. Many, many mahalos. Friday, July 10 to Sunday, July 12 — Delaney and Brett took in a few days of fun in Kandel—spending a day at school with Hana, rock climbing, swimming, etc. 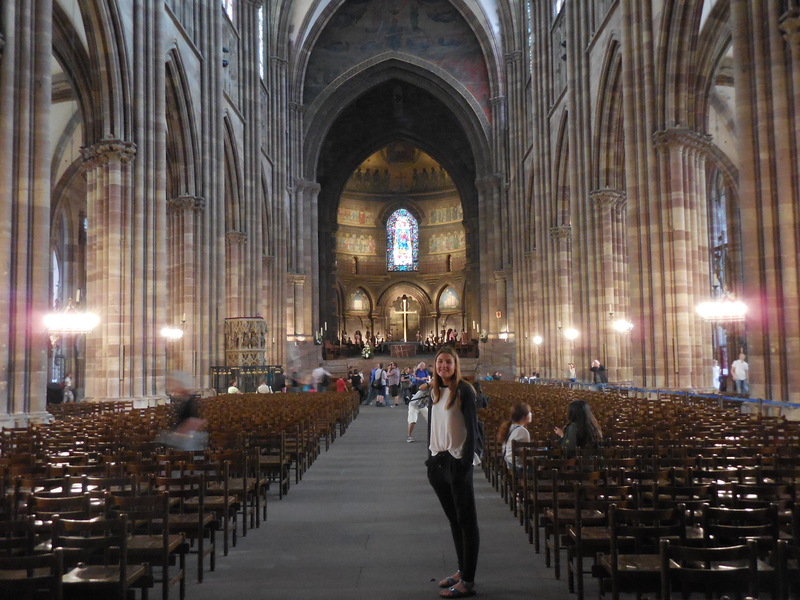 Laurel and I headed east through Heidelberg, Rothenburg ob der Tauber, Ulm, and Karlsruhe, Germany. Rothenburg ob der Tauber was quite amazing; heavy duty tourist destination and for whatever reason, a big attraction for Japanese visitors. Eyes closed, listening to the chatter, it could have passed for Kalakaua Avenue. Have you ever noticed if your on a train and there’s this one group that’s louder than everyone else they’ll probably be takin’ ‘Merican? Le Tour and other tours. No fireworks for us–saving them for Bastille Day. 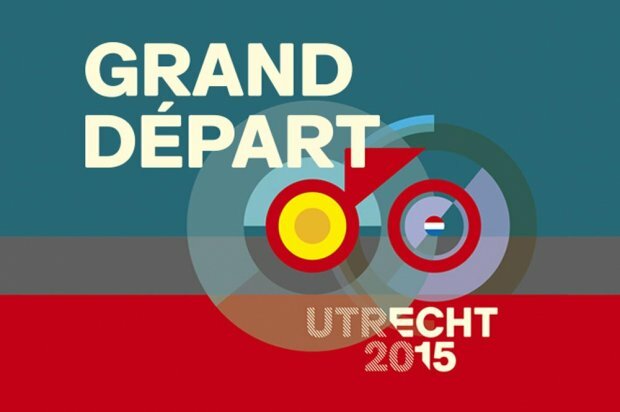 Today it was back to Centraal and back on the train, this time to Utrecht to catch a bit of the prelim stage of the 2015 Tour de France and to visit our Gallant friend and Utrecht native Sophie. 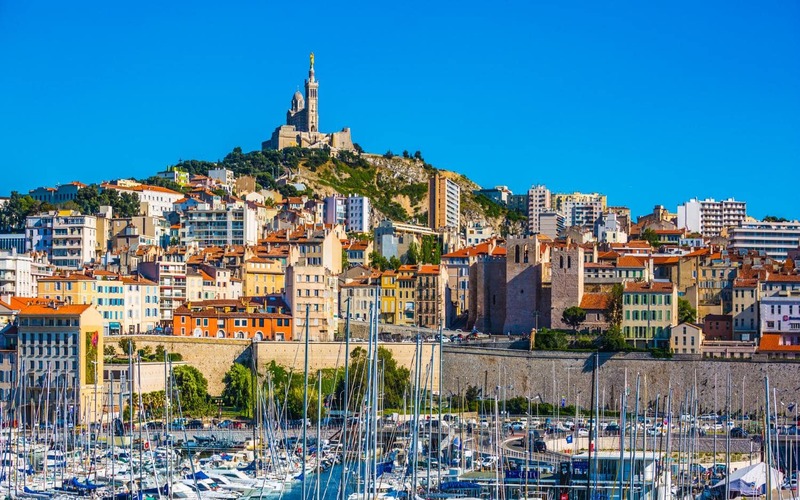 More and more it seems Le Tour is generating less interest in its namesake county and more and more excitement in the non-French cities where the first couple of stages are typically held. Like England the year before, the crowds in Utrecht were enormous; could even get close to the circuit. As each rider zipped by you could catch maybe a quick glimpse of a helmet, followed by a team car, top loaded with bikes, but that was about it. The crowds were tough, but the pre-race ad caravan was in full silliness and it was really great to see Sophie. Saturday night we shifted gears and went on a iPhone-played, Rick Steves Audio Tour of the Amsterdam area known as De Wallen, perhaps better known as The Red Light District. There really is a lot of rich history packed in this oldest part of town, and of course there are the various forms of commerce you just don’t find in too many other places. And not unlike Le Tour, the streets were PACKED with tourists. 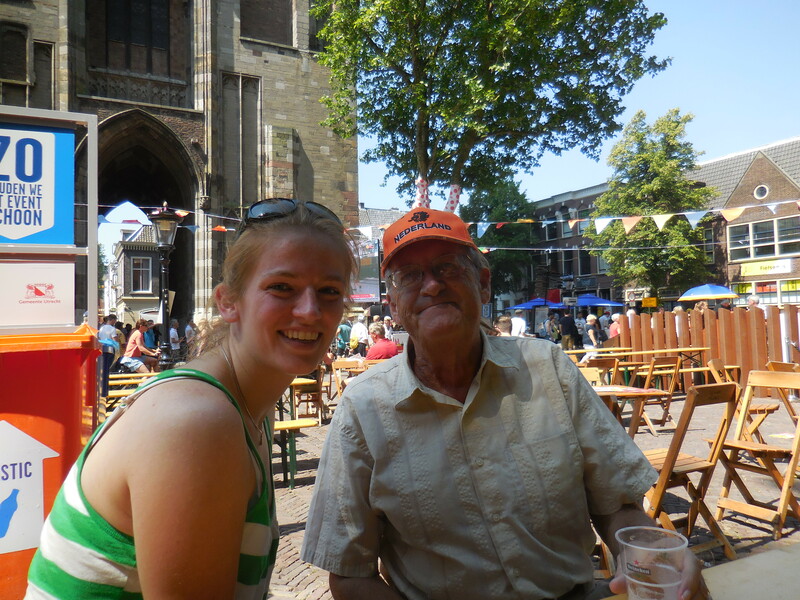 De Wallen tour complete, the kids went for crepes, Laurel and I went for a beer in our fav local De Wallen dive bar. Trading Spotify suggestions with the bartender was a hoot. The kids beat us home, but we all missed the last tram. Just havin’ too much fun. As a nice alternative to my blah blah blog, our travel-mates, Delaney and Brett have a very cool Tumblr blog going here. Have a look. Looks like a couple of ATC unions in France might be making our departure plans a bit more interesting. C’est la vie. We spend a lot of time mapping out our little international excursions. This go around however, we seem to have had one good sized space-out moment. Rotterdam, Brussels, Bordeaux and Paris. I know that late last year when the course was published, I looked over the route, but somehow just didn’t put it all together. Senility creeps up on you. Anyway, on Saturday we’ll take the kids on the short train ride to Utrecht catch some EU marketing activity at its very best. The advertising Caravan, something you never see on TV, is beyond description. Two weeks from right now it’ll be getting close to time, after 30-some hours of traveling, to crawl into our fine Dutch beds. Plan is pretty much all in place with only a few tweak-changes to reservations, etc. and we’re getting very excited. 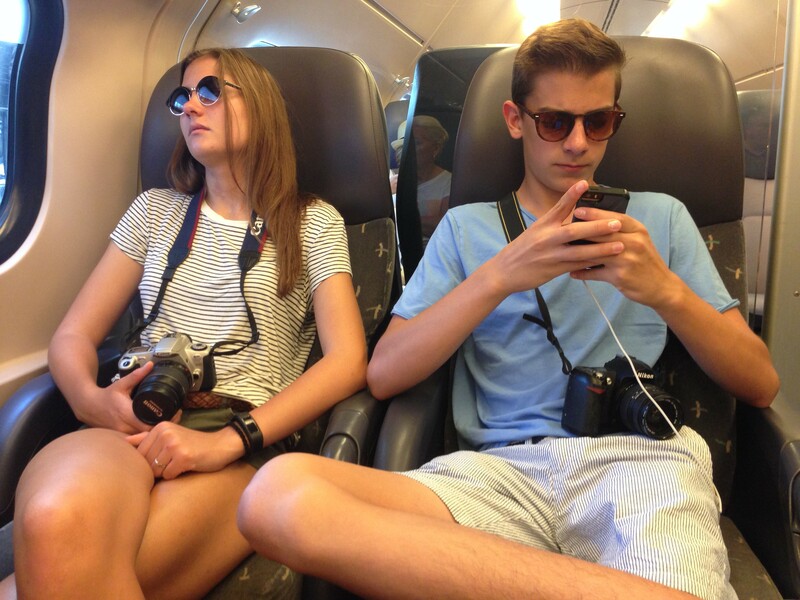 Delaney and Brett, our fab traveling companions.